A SoftRadio system can be built in many sizes. 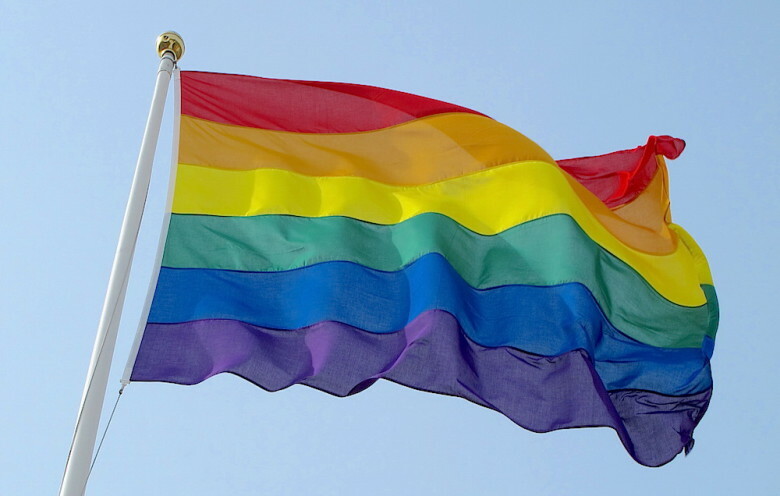 It can also be built for use under a short period of time, typically an event of some sort. Operators can be local or remote, and also the radios can be local or remote, all in a mix. The radios does not need to be of the same brand or work in the same type of system, you can mix and match as you like. You can even mix with phones, intercoms and PA-systems into the system. Here are some examples of SoftRadio being used at different events. Wales Rally GB is the UK’s round of the FIA World Rally Championship (WRC). 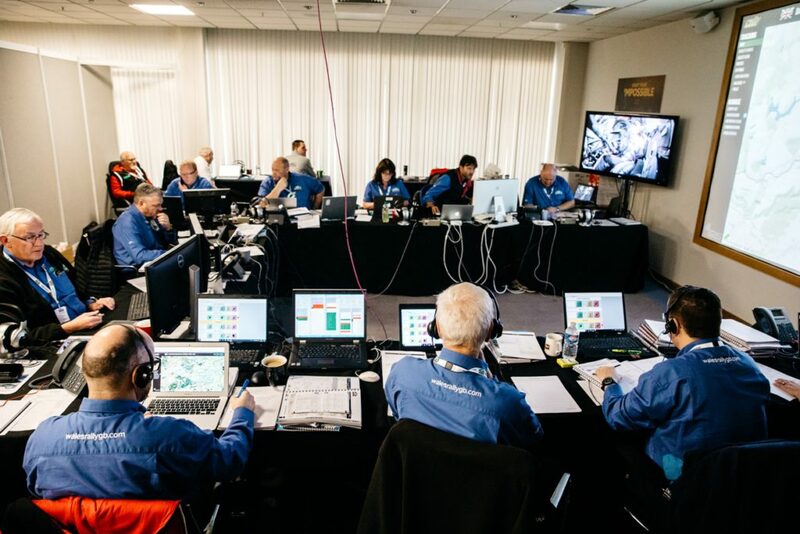 Whilst the event covers a huge geographical area, spanning Mid and North Wales, the terrain and weather present their own challenges to the communications team. 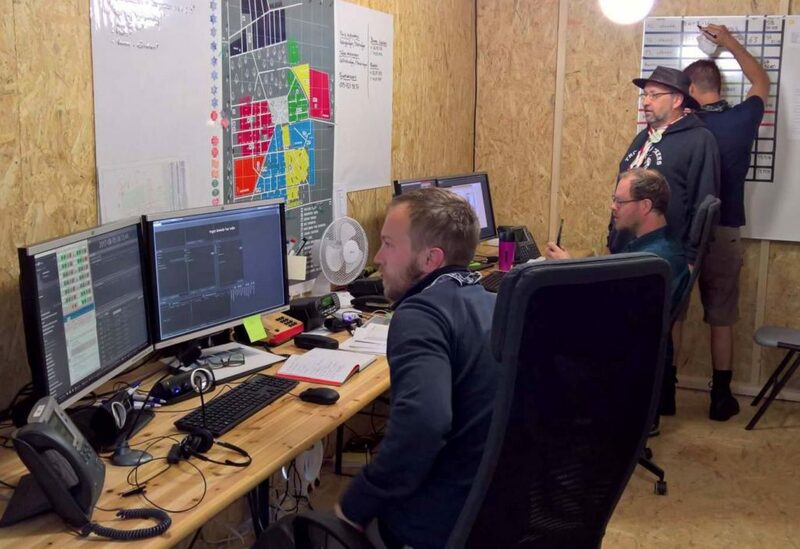 Coupled with the fact that the event runs for just 4 days each year, with different areas being used each for just 1 day, the reliability and simplicity of the system is paramount. Event-wide communications are critical to competitor safety and rally operations. 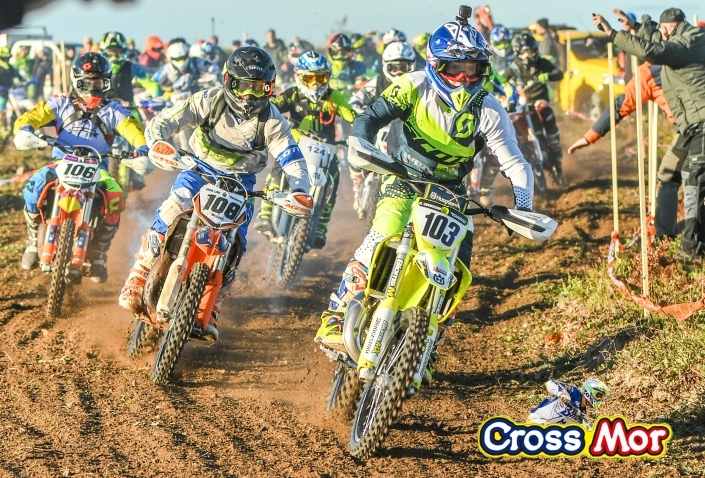 The Mimer system was selected to support the 2018 event to deliver simple and effective communications from the stages back to both Regional and centralised Rally Headquarters, sometimes over 100 miles away via a mix of ADSL, local broadband and 4G connections. 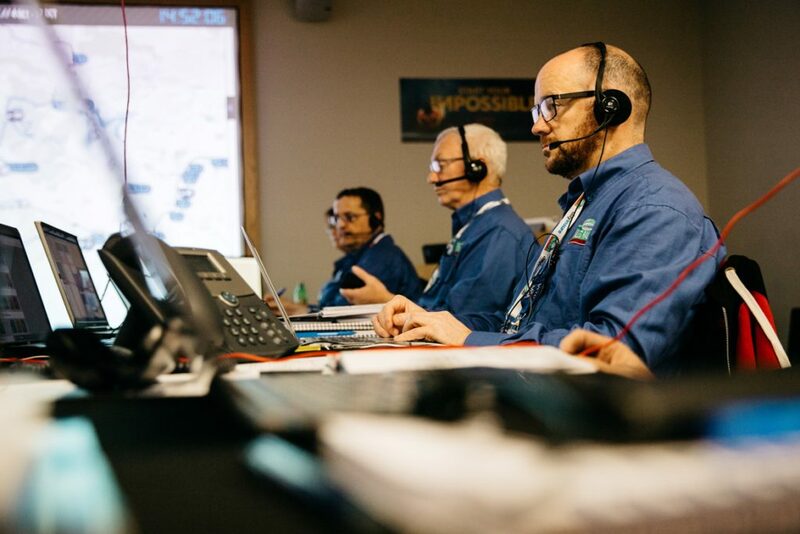 Thanks to Mimer SoftRadio, operators in Regional bases and Rally Control can connect directly to the Stages that they are controlling for the day, enabling communications between Rally Control, Stage Commanders, Safety Cars, Rescue and Medical teams. The communication team can easily setup pre-programmed tabs, with the correct radios, for each user and each day. All radio conversations are recorded on a Mimer VoiceLog system, so that any incidents can be followed up afterwards. The improvement this year was immense, it was as it should be. Credit where credit is due, well done to the communications team. Much better than previous years – it actually worked all the time. MUCH better than in previous years. Congratulations to the Comms team in providing a working and clear system this year! 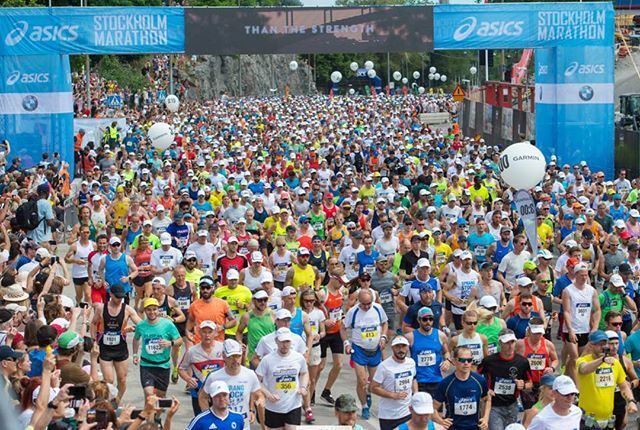 The Stockholm Marathon organisation arranges many running events around the year, all over Sweden. For this purpose they have invested in a large number of portable radios. When there are no running events, the radios are rented out to other sports events. 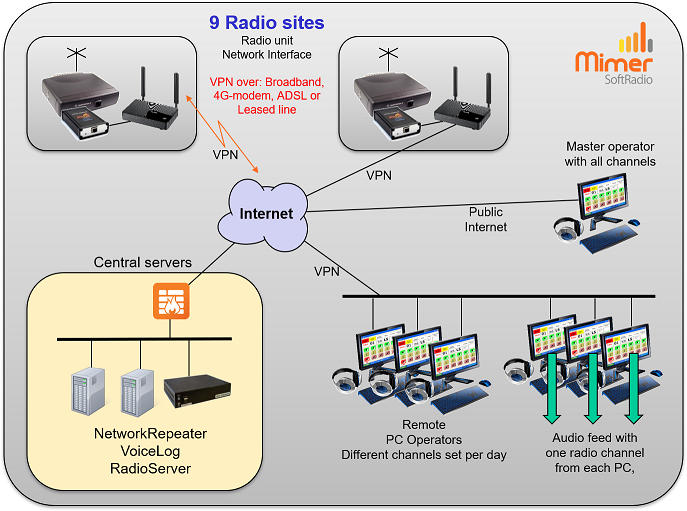 Instead of using several portable radios on different channels in the operations centre they use Mimer SoftRadio on one or more PC´s, having all radio channels in one headset. For each event the operations centre is at a new temporary place, it can be everything from a school class room, to a camper. Therefor the base radios are mounted in a movable cabinet that can be placed near the antenna in a spot with good coverage. And then a standard WiFi point to point link connects the radio site with the operations centre. Local radio support from Com.Radio Teamet. 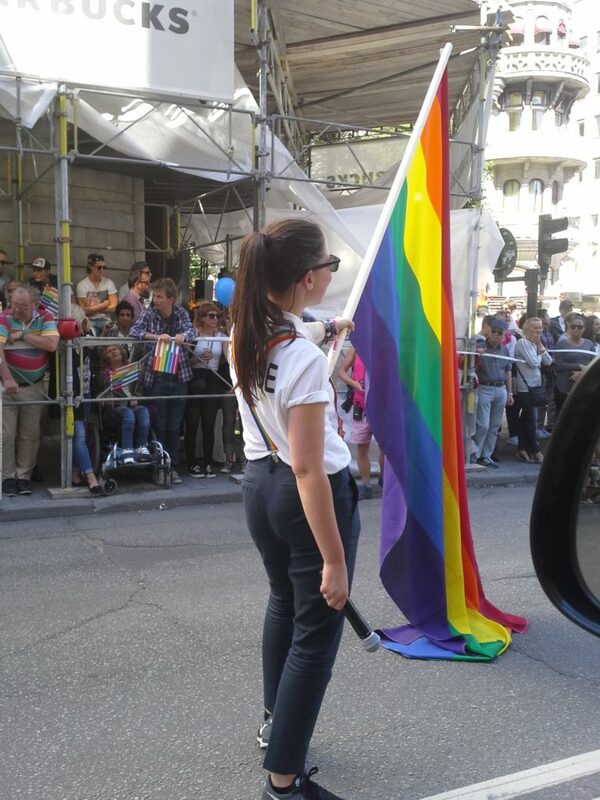 Every year a large festival area is built for the Pride celebrations in Stockholm. With many thousands of participants there is need for good radio communication and an alarm centre. 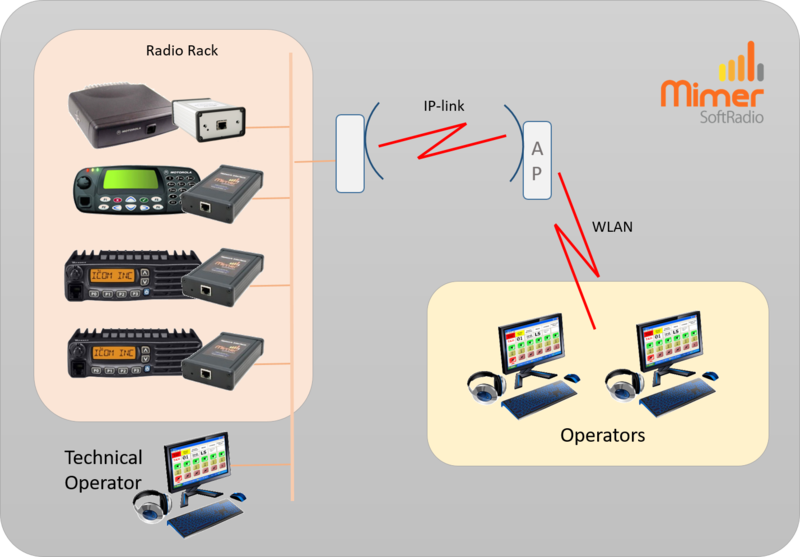 The back bone for radio is a digital DMR network using Motorola MotoTrbo. The digital signaling has two large advantages, no evesdropping and no disturbing back ground noice from the sceen. 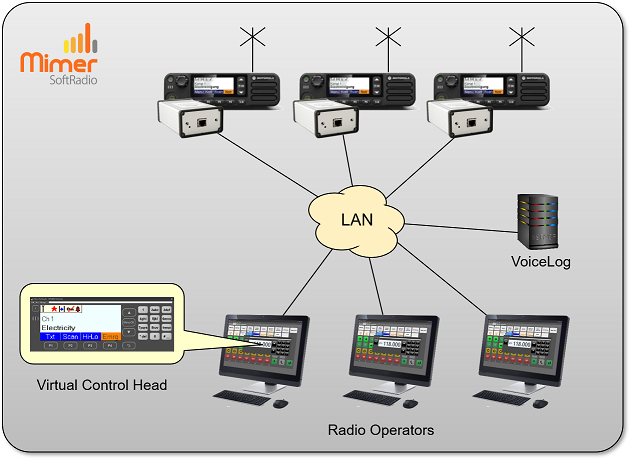 The alarm centre works from three operator positions using three radios on different talk groups. In the events 2016-2018, thanks to Mimer SoftRadio, all three operators could use all talk groups in parallel from their own PC operator positions. All voice communication is also recorded in the event that an incident needs to be checked afterwards. Radio system provided by SVB Försäljning. We built a large Mimer SoftRadio system at the site of the World Scout Jamboree, held in Sweden in 2011. The radio system itself consisted of 12 repeater channels, 24 simplex channels and over 1.000 portables plus a Scada system for pump alarms. Together with this a Mimer SoftRadio system with 12 radios, 20 operators and VoiceLog. The system was used during WSJ, July 27 to August 8 2011, and for the build up and tear down periods, in total about 8 weeks. An event for 39.000 scouts from over 150 countries plus many thousand visitors. 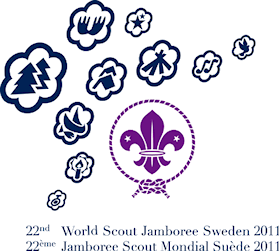 A similar system was also built during the national Jamboree in Sweden in the summer of 2017. The camps alarm centre had a very easy to use radio dispatcher and voice recording of everything going on around the camp. The alarm center at the Scout Jamboree 2017 in Sweden. Mimer SoftRadio is used for radio calls and recording.